There has been a deluge of anti-cop threats on Twitter, many of which calling for the mass murder of police officers. Hatred towards police is nothing we haven’t seen on the timelines of Twitter before, but the past three days have brought an onslaught of highly violent calls to action. 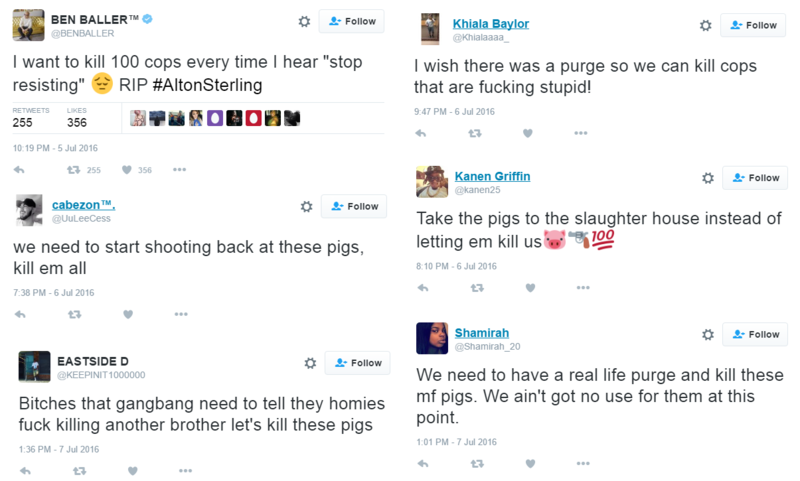 A search query for phrases such as “kill pigs” “kill police” and such pulls back thousands of posts. Many of these are blatant threats to all police, regardless of their relevance to past incidents. The threats and incitement to violence seen below were all posted before the massacre of police officers in Dallas, Texas. At the time of publication, all the tweets captured below remain on Twitter, and can be found via the site’s search function. In addition to screenshots, all tweets have also been archived. 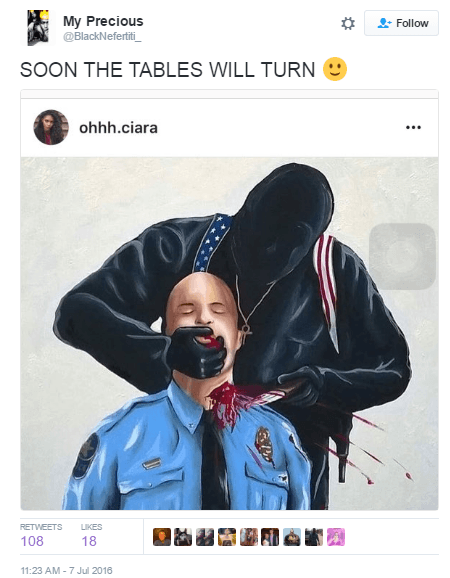 The most disturbing tweet so far features an image of a policeman having their throat cut by a masked assassin. The man who tweeted it, who goes by the username “BlackNefertiti” has yet to be punished by Twitter, and his original tweet remains on the platform. 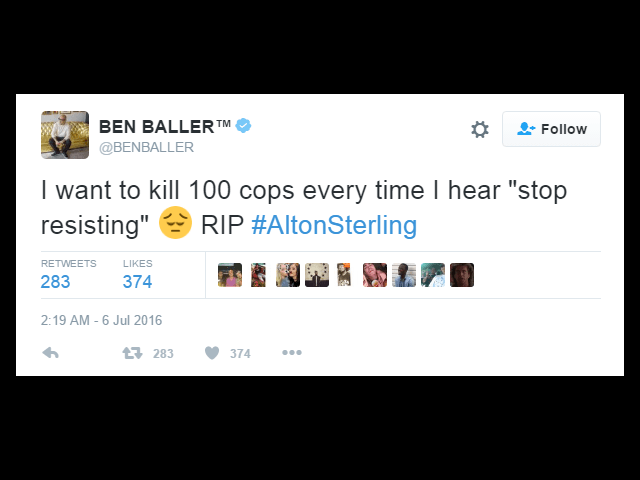 One of the above tweets comes from verified Twitter user Ben Baller (@benballer) who explains that he wishes to kill one hundred police officers whenever he hears the words “stop resisting”. He also went on to praise Christopher Dorner, the man who wrote a manifesto against police officers and went on to kill three of them, and a basketball coach, along with three others wounded. Ben Baller, Kanye West’s personal jeweler and Twitter verified personality, is undoubtedly an influential member of Twitter, with over 437,000 users reading his tweets like the ones above. Nearly half a million people and counting will see him actively endorsing the execution of police officers. 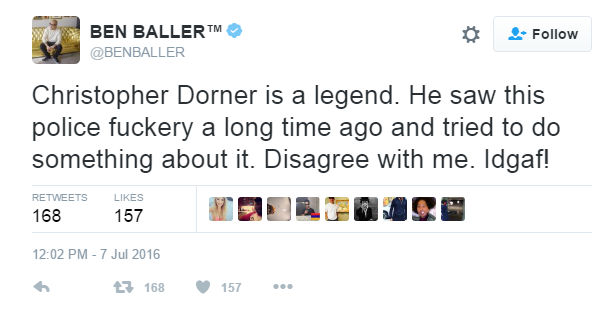 Will Twitter ban Baller for his comments? Or even remove his “verified” checkmark? Non-progressives have had their blue mark removed for more spurious reasons, such as Breitbart Tech‘s own Milo Yiannopoulos. And in some cases, like Adam Baldwin’s, they have even been locked out of Twitter entirely — and that was for allegedly insulting tweets, not incitement to violence against police officers. It wouldn’t be the first time the platform has turned a blind eye to incitement. 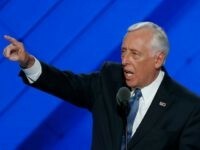 In June, the platform was deluged with praise for Donald Trump’s would-be assassin. And as The Hill reported at the end of last month, death threats to Republican senators remained on the platform for weeks without removal.